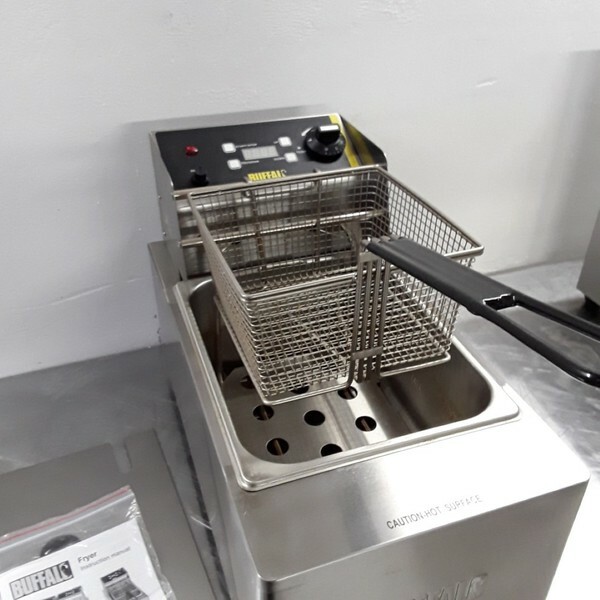 Used Buffalo L490 Single Table Top Fryer 5L. Whether you're frying fish or French fries, the Buffalo heavy duty fryer is the ideal solution for heavy duty, everyday use. 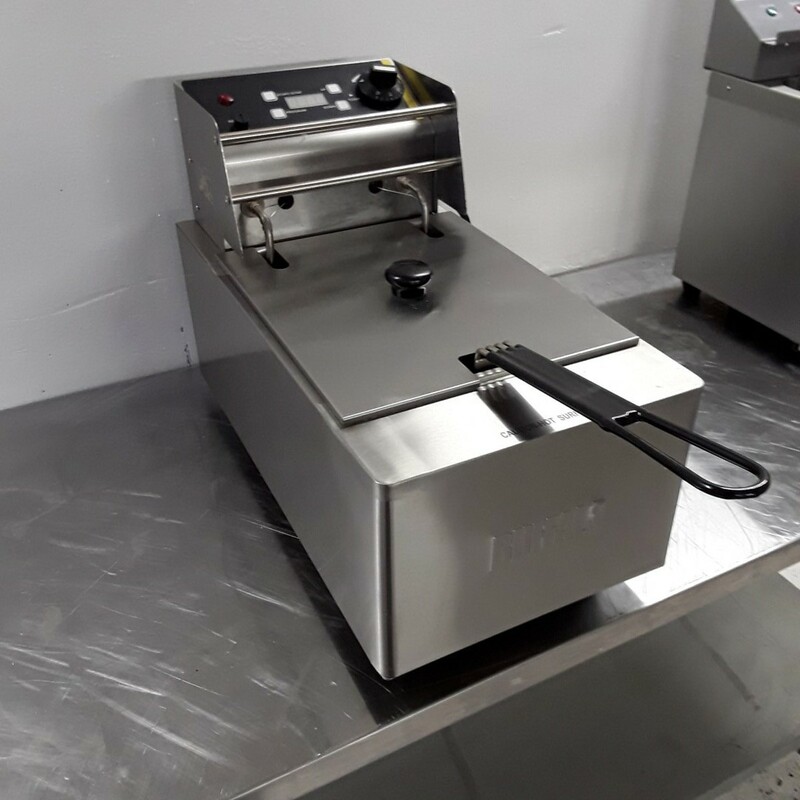 With a powerful 2.8kW elements and robust stainless steel construction throughout, the Buffalo is a reliable addition to restaurants, cafés, kiosks and more. 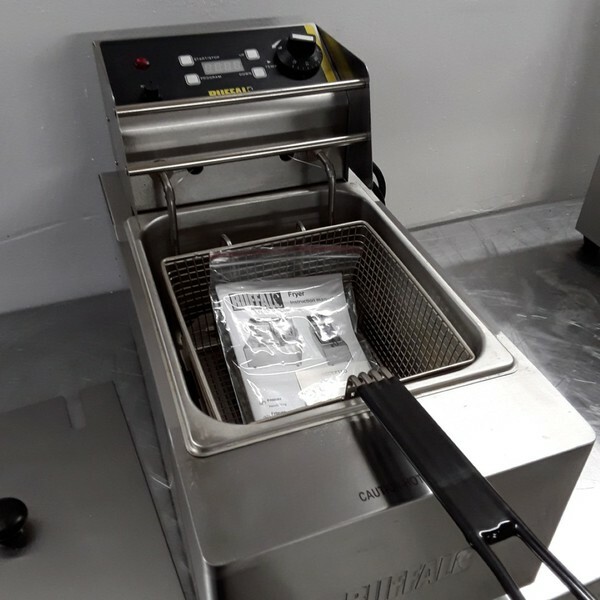 The built-in dial temperature control and digital timer ensures you can cook food just how your customers want it - deliciously crispy and golden. Finish - external Satin finish stainless steel. Delivery £12 + VAT – please note this is restricted to certain postcodes. Please call for more information.